In what may turn out to a major upheaval in India’s economic governance, Reserve Bank of India (RBI) governor Raghuram Rajan has declared that he will not continue with his job after his term ends on September 4, and will return to the University of Chicago, from where he has been on “leave”, setting aside all speculation around him. The development comes close on the heels of latest attacks fired by BJP MP Subramanian Swamy, who in a letter to Prime Minister Narendra Modi sought formation of a Special Investigation Team (SIT) to investigate charges of money laundering against Dr Rajan. Despite a series of accusations, Modi kept his mum. In an earlier letter, Swamy urged Modi to sack Rajan because he was 'deliberately' trying to "wreck the Indian economy", and was also "mentally not fully Indian". 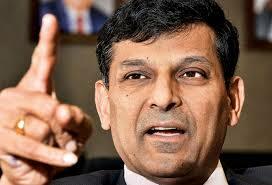 He later openly said, if India wanted to see economic growth at 10 per cent, Dr Rajan should go back to Chicago. At another placed Swamy said, Dr Rajan had planted “a time bomb in our financial system in 2013, timed for December 2016”, in the form of “the redeemable USD 24 billion in foreign exchance to be paid out by banks". Swamy was referring to the upcoming redemption pressure on banks when the foreign currency non-resident (bank) (FCNRB) deposits mature in the September-November period this year. Immediately after Swamy’s first attacks, which happened last month, the top British daily, “The Financial Times (FT)” (May 29), warned, the criticism of Dr Rajan, one of the topmost economists, had begun to “worry investors”, with international investors wondering whether Dr Rajan might be replaced by someone more pliant — and less voluble – as RBI chief. Declaring his decision to quit RBI, Dr Rajan said, he took office in September 2013 when the Indian currency was plunging, inflation was high, and growth was weak, with India deemed as one of the “Fragile Five”. “Finally, the currency stabilized after our actions, and our foreign exchange reserves are at a record high, even after we have fully provided for the outflow of foreign currency deposits we secured in 2013. Today, we are the fastest growing large economy in the world, having long exited the ranks of the Fragile Five”, he added. Among the “eminent public citizens” on RBI Board who guided the RBI, Dr Rajan named “Dr Anil Kakodkar, former Chairman of the Atomic Energy Commission and Padma Bhushan, and Magsaysay award winner Ela Bhatt of the Self Employed Women’s Association (SEWA).” An Ahmedabad-based women’s trade union, Bhatt’s relations with Modi during the latter’s chief ministership of Gujarat are known to have been sour. The next governor will be another Modi chamcha/RSS recruit in the ever extending list of such puppets.